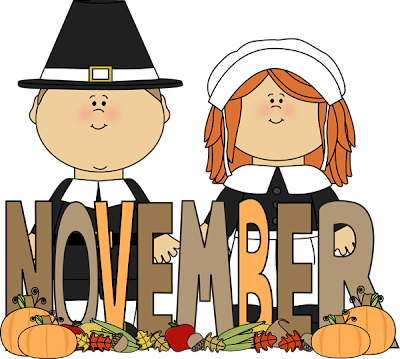 This is an ongoing November events list that we will update throughout the month as new events and activities come up. Please come back and check periodically so you and your family don't miss out! Know of an event or activity we missed? Let us know! Message us or post on our Facebook wall. -Kid's Area: Games, crafts, rock climbing and piñatas! -Main Stage: Live music and dancing! -Cultural Stage: Folklorico dancing, music and more! -K Space Gallery: Dia fine art Exhibit LOTERIA! -Moody High School Fall Festival from 4 to 7 pm. Games prizes, food and entertainment. 1818 Trojan Dr. Call 361-878-7340 for more information. Rockport Beach Park, Beachfront Pavillion, 521 Seabreeze, Rockport, TX http://www.onestoprace.com/search/event.aspx?id=22396 for more info. -50th Annual Greek Festival of Corpus Christi from 12 to 5 pm. Church tours, pastries, bazaar, Greek dinner, and entertainment. Free admission. St. Nicholas Greek Orthodox Church, 502 S.Chaparral. -Los Encinos Elementary 2nd Annual Eaglefest from 5:30 to 8:30 pm. 1826 Frio St. Food, moon jumps, games, live music. For information call (361) 878-2600. -Islander Cultural Alliance Culture Fest from 11:00 am until 3:00 pm. "Join ICA for our annual celebration and enjoy food from around the world as well as performances by, The Pacific Islanders, Hourglass Bellydance, Glor na Daire Academy of Irish Dance, Aruande Capoeria Club, Ballet Folklorico Viva Mexico. This event is free and open to the Corpus Christi Community." Texas A&M University-Corpus Christi, University Center Commons area. 6300 Ocean Dr. For more information, call 361-825-2539 or email ica@tamucc.edu. -Calk Cardinal Fest from noon - 4:00 pm. For information contact Amy Arzuaga, PTA President at 460-9209 for information. -Driscoll Children’s Hospital Injury Prevention Program Bicycle Rodeo from 10 a.m. to 1 p.m. They have teamed up with Kohl’s Department Stores for a helmet giveaway for children. To participate in the rodeo, children must arrive at 9:30 a.m. with their bicycle. Those arriving after 9:30 a.m. will still be eligible to receive a free helmet, with or without a bicycle. Kohl's will also present to Driscoll Children's Hospital a check for $42,015 at 11:05 am. To register for the rodeo, parents can call (361) 694-6700. Driscoll Children's Hospital Injury Prevention Program building parking lot, 3533 S. Alameda St.
-Dr. Clotilde P. Garcia Public Library Hunger Games Program at 1 pm. Trivia, games, crafts and refreshments in anticipation of the theatrical release of Catching Fire. The first movie The Hunger Games will be shown at 2:30. Your child over the age of 10 may participate in the activities but must be at least 13 years old to stay for the movie or be accompanied by a parent. (Movie is rated PG-13) 5930 Brockhampton, Call them at (361) 991-0464 for more information. -Owen R. Hopkins Public Library Saturday at the Movies at 3 pm. Come watch a family oriented movie. 3202 McKinzie Rd. Call (361) 826-2350 for more information. -2nd Annual Kingsville Ranch Hand Festival from 9:30 am – 10 pm. The Kingsville Ranch Hand Festival was started last year partnering with the traditional annual Ranch Hand Breakfast held on the King Ranch in order to bring visitors to Historic Downtown Kingsville. Local museums, artists, businesses, community organizations, vendors and the university work together to provide cowboy-themed entertainment and activities. Downtown Kingsville, 100 Kleberg Avenue, Kingsville, TX. Visit http://RanchHandFestival.com for schedule and more details. -Harbor Playhouse Presents A Christmas Carol at 7:30 pm. “Ring in the holidays with our annual production of Charles Dickens' A Christmas Carol brought to life by amazing local talent, here at Harbor Playhouse. Watch as fabled miser Ebenezer Scrooge experiences visits from the legendary Christmas ghosts of his past, present and future. This extraordinary Broadway adaptation comes to Harbor Playhouse's Mainstage and features gorgeous costumes and music by Broadway veterans Alan Menken, Lynn Ahrens and Mike Okrent. Bring the whole family to Charles Dickens' A Christmas Carol. This holiday show is guaranteed to usher in the Christmas season!” Tickets are $6 for children/students, $13 for military, and $16 for adults. Harbor Playhouse, 1 Bayfront Park. For info call (361) 882-5500 or https://www.facebook.com/events/1404827416407906. -November Island Moon Market from 9am to 5pm. South Texas' premier vendor market now has indoor and outdoor spaces in a new location: Padre Balli Park, at the Briscoe King Pavilion, adjacent to Bob Hall Pier! Come out to the Island and shop the 38 vendors (and counting)! We are loaded with one-of-a-kind; hand-made and unique gift ideas for your holiday shopping! Come join us for all your holiday shopping needs! Free admission and parking. 15820 Park Road 22. For more information www.islandmoonmarket.com or www.facebook.com/islandmoonmarket. -Anita & W.T. Neyland Public Library Fiction and Flicks at 2 p.m. "Perks of Being a Wallflower" by Stephen Chbosky. Join the young adult book discussion, then watch the movie. 1230 Carmel Pkwy. Call (361) 826-2370 for more information. -5th Annual Corpus Classic National Qualifier cheer competition from 10am to 4pm. Over 500 area athletes will fill the Arena with spirit, ranging from 3 to 18 years of age. These talented contestants will dance, leap, tumble and cheer, competing in over 20 different categories for trophies, plaques, banners and a bid to the Fun Cheer National Championship that will be held March 8, 2013 in San Antonio, Texas. Admission to the Corpus Classic Fun Cheer event is $10 each and children ages 5 and under are free. Parking is free. Richard M. Borchard Regional Fairgrounds Central Pavilion Area, 1213 Terry Shamsie Blvd. Robstown, TX. For more information call Denise & Ross Marin at (512) 388-3470 or visit www.funcheer.com. -Harbor Playhouse Presents A Christmas Carol at 2 pm. “Ring in the holidays with our annual production of Charles Dickens' A Christmas Carol brought to life by amazing local talent, here at Harbor Playhouse. Watch as fabled miser Ebenezer Scrooge experiences visits from the legendary Christmas ghosts of his past, present and future. This extraordinary Broadway adaptation comes to Harbor Playhouse's Mainstage and features gorgeous costumes and music by Broadway veterans Alan Menken, Lynn Ahrens and Mike Okrent. Bring the whole family to Charles Dickens' A Christmas Carol. This holiday show is guaranteed to usher in the Christmas season!” Tickets are $6 for children/students, $13 for military, and $16 for adults. Harbor Playhouse, 1 Bayfront Park. For info call (361) 882-5500 or https://www.facebook.com/events/1404827416407906. -Harbor Playhouse Presents A Christmas Carol at 7:30 pm. “Ring in the holidays with our annual production of Charles Dickens' A Christmas Carol brought to life by amazing local talent, here at Harbor Playhouse. Watch as fabled miser Ebenezer Scrooge experiences visits from the legendary Christmas ghosts of his past, present and future. This extraordinary Broadway adaptation comes to Harbor Playhouse's Mainstage and features gorgeous costumes and music by Broadway veterans Alan Menken, Lynn Ahrens and Mike Okrent. Bring the whole family to Charles Dickens' A Christmas Carol. This holiday show is guaranteed to usher in the Christmas season!” Tickets are $6 for children/students, $13 for military, and $16 for adults. Harbor Playhouse, 1 Bayfront Park. For info call (361) 882-5500 or http://www.harborplayhouse.com.